Locating the best sports betting app for your android device isn't always easy. Among all the operators on the market; which one has the best features? offers? promotions? Betminded's guide is here to help you find what is right for you! So which one will you pick? Once you have made up your mind simply click on the links below to download the apps and claim your mobile bonus! Deciding which android sports betting apps to pick is not always an easy task. Between welcome offers, mobile apps and the rest, it’s easy to get lost, especially for a newcomer. But fear not, we’re here to make the task easier! We’ve made a subjective evaluation of the best android sports betting apps at the moment, which you can see below. Be sure to consider different options from our partners, to make an educated decision. We hope you’ll find something suitable for you. When it comes to choosing the best android sports betting app for you, make sure to take into account the special mobile bonuses for new and existing customers. Although some look more profitable than others, make sure you read the small print. Ladbrokes and William Hill lag behind when it comes to their sports book bonus. However they do offer competitive bonuses on their other sections as well as good sports promotions for members. 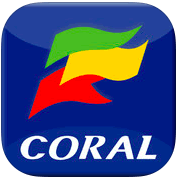 Although none of these operators offers a no deposit bonus, Coral and Sky Bet can be commended for their low deposit requirement and generous bonus proportionally. Betfair wins the day because they have the best of both worlds, a low deposit and a good welcome bonus on Android. When it comes to conditions and requirements, these are pretty similar across the board. Although some operators have slightly better odds, the differences are very slight and should not be a determining factor when choosing an operator. When it comes to special features, these 6 operators stand above the rest for their high quality Android sports betting apps. Beyond slick design, its hard to tell which app really has the upper hand so we decided to summarize their key assets. All of these Android sports betting apps have been designed with the utmost care to give the user the best betting experience possible. 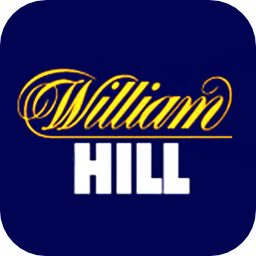 Ladbrokes and William Hill stand out because they have dedicated app for each section of their website. However, although this feature is commendable many users actually prefer to have Casino, Poker and Sportsbook regrouped in one place. This is particularly useful for tablet users who can bet whilst watching a live game. Betfair has to be highlighted for its simple bet cancellation process, obviously there is a higher margin of error on mobile if users forget to lock their device so this feature can be very useful. Overall it has to be a tie between Betfair in this category, unless you prefer having dedicated apps for each feature. Secure cash outs are an important feature in any sports betting app. We feel that Sky Bet takes the lead on this front. 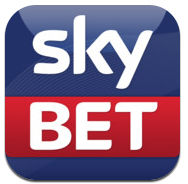 Although the competition certainly all provide fast and easy-out cash-outs, the Sky Bet Android app has an extra dimension. They allow cash-outs before the end of matches on Sports Games so you have time to make an informed decision. We feel this gives them an extra edge in this field. As – due to their content policy – Google does not allow real money gambling apps in their Play Store, owners of Android devices may download the application directly from the operator's websites. But no worries, this is just as easy and you will have no problems downloading the best android sports betting app for you in a few simple steps. Simply click on the link in the dedicated mobile section to download the APK file and follow the donwload instructions. All of the reviewed apps certainly find themselves among the best android sports betting apps on the market and give their customers a run for their money. Overall Ladbrokes and William Hill have a very similar offering. They don't offer a specific Sportsbook welcome offer and prefer to separate their applications into sections. Nevertheless they remain strong contenders. Sky Bet and Coral can be commended for their lower deposit but Sky Bet stands out for their very sleek cashing out process which surpasses Coral's system. However, overall bet365 takes the lead in the race for best android sports betting app. Although they may not have the most outstanding special features, they provide a great user experience and interface. Moreover their joining offer stands out and they offer the best all around Android betting platform. 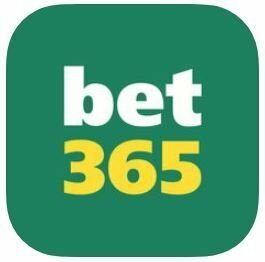 As a global betting platform with a great Android App, it is no wonder that bet365 is one of the top mobile betting sites out there. Don't take our word for it? Click the link above and try it out for yourself!